There are several ways you can add visuals to your storyboard. Select a file from your computer and drag and drop into the storyboard. Click on the pixabay icon in the right panel, then search for an image or video clip by typing a keyword. Images and photos are free for commercial use with no attribution required. Simply drag and drop into the storyboard. Store images and videos you will often reuse on the personal desk library. Such as intros, outros, backgrounds, or visuals of your products or services. Drag and drop any visual into the storyboard. 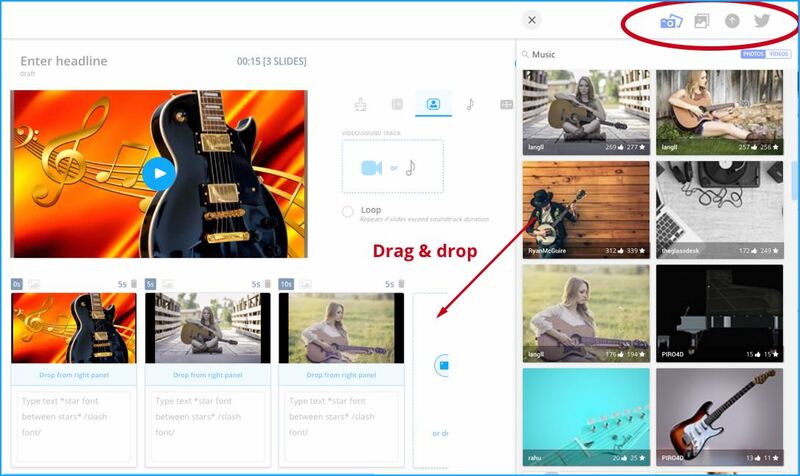 Use My Uploads in the right panel to drag and drop visuals from your computer. If you have a BIGVU subscription, you can upload straight from your iPhone.